Every great thing in this world has an origin story, right? Here’s ours. Years ago, I was a postdoc at the Santa Barbara Coastal Long-Term Ecological Research Site (SBC LTER) working on the links between waves, kelp, and food webs. I had this problem. Big waves came through in the winter and removed a lot of kelp. Only, we only had divers going out in the summer, by which time kelp had often recovered, so I couldn’t estimate how much damage had been done. Enter the brilliant Kyle Cavanaugh. As a grad student, he was pushing the limits on how we use satellite imagery for marine science. He’d devised a way to use imagery from Landsat, stretching back into the 1980s, to see giant kelp forest canopies from space. Better still, as every area around the earth was photographed about twice a month, this meant that he could see the forests I was analyzing right after storms hit them. So, we struck up a collaboration to use the Landsat data he was collecting (paper here) to bring in the wave story. It was fantastic, and led to a wonderful collaborative paper. And that could have been the end of it. Except…there was this niggling thing. Landsat has images of the whole globe. And Giant Kelp isn’t just in California, but rather it’s found in areas all over the planet. Could we look at giant kelp across the planet? As other members of the lab Kyle was in moved forward, they slowly expanded the dataset to include Baja, Northern California, and more. Why slow? 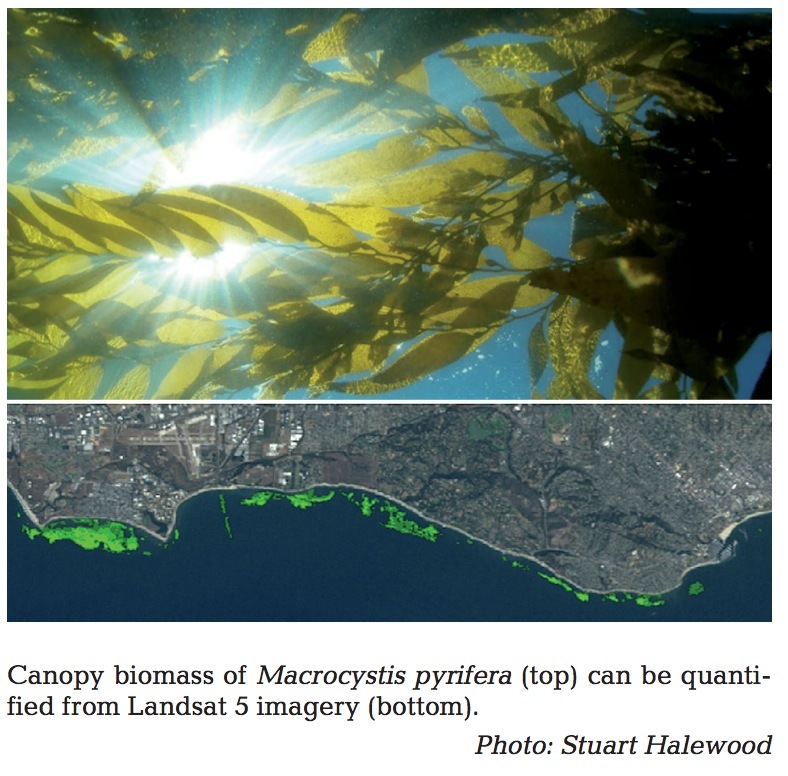 Well, turns out, computers can’t just scan an image and tell you where the kelp is. Kelp looks like a lot of things in those pictures – like parts of the land, like clouds, like sea foam. But, to the human eye, it has some pretty distinct patterns in where it is and how it clumps together. The Siegel lab had setup a great pipeline of undergraduates who looked over the images, circled where kelp was, and then sent it back to grad students and computers to determine how much was there. It took years just to get California. The globe seemed impossible. A few years later, this came up while Kyle and I were seated in a room of amazing kelp forests scientists. We were at the National Center for Ecological Analysis and Synthesis for a working group on kelp forests and climate change. One of the tasks we had assigned ourselves was to build a global database of all of the kelp forest monitoring data out there. We found a number of wonderful datasets – some stretching into the 1970s, and one even into the 1950s. But all of these sets were limited to just a handful of sites. And there weren’t many of them. A few project members brought up Kyle’s Landsat data, but, expanding to the globe seemed daunting – until we realized that there might be a way to harness the power of the Crowd. I’d recently read Nielsen’s Reinventing Discovery where he talked about a project called Galaxy Zoo. In Galazy Zoo, astronomers had folk look at pictures of hundreds of thousands of galaxies and help them classify them into types. Along the way, citizen scientists not only had a good time, but even made some discoveries of types of celestial objects never before recorded. Why not tap the power of folk interested in our oceans? Maybe we could provide images of coastlines that many people had never seen – to set them up as explorers of a potentially kelpy world, and help us get data along the way? People could see not only the kelp forests that might be lurking in their back yard, but discover features and forests in places we’d hardly ever been able to look before. So, we emailed Zooniverse. It wasn’t their regular time to receive new submissions, but they wrote back right away, very excited. We put together a crackerjack team of scientists from our working group, and submitted an application to be a project, and as the next round swung around, they selected us to take part! We built a small science team from our larger network (who is still pretty active in the whole process! 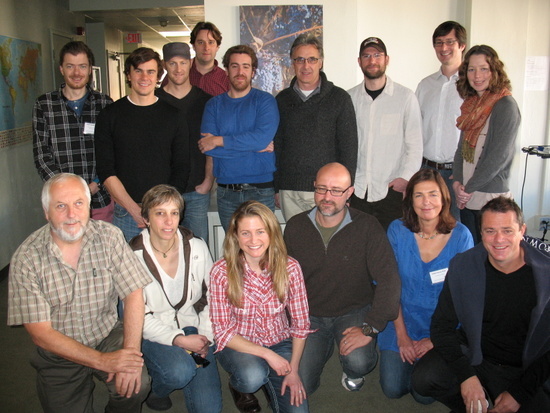 ), began conversations with the Zooniverse team after going to their marvelous conference in Chicago, and we were off!